Lou Zale Fine Art - Madam,the entree has been delayed! Madam,the entree has been delayed! 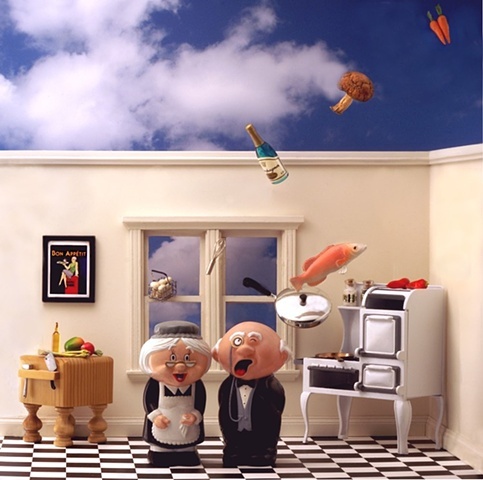 Miniature room built by artist-the maid and butler are salt and pepper shakers!